Creative and Critical Thinking Thrive Here. A recent survey of business and non-profit executives published by the Association of American Colleges and Universities reports that today's employers want college graduates who can "think critically, communicate clearly, and solve complex problems" and who can "demonstrate ethical judgment and integrity; intercultural skills; and the capacity for continued new learning." Ninety-five percent of those surveyed reported that they "give hiring preference to college graduates with skills that will enable them to contribute to innovation in the workplace." 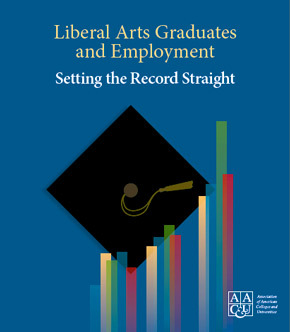 More than 74% of the executives surveyed endorsed a Liberal Arts education for students entering the global economy. See the full report and summary here.